Immediately following Linus Torvalds' slamming of Nvidia, the GPU maker refused to comment. Now the company has released a brief statement in a bid to clarify several points raised by the outspoken father of Linux following his very graphical outburst. It all started at the beginning of the week after a video recording of a seminar question and answer session at Aalto Center for Entrepreneurship in Finland showed Torvalds stating, among many other things, that Nvidia was the "single worst company we've ever dealt with." He gave them the middle finger and swore at them whilst facing the camera. In a PR response to Phoronix, the company said "supporting Linux is important to Nvidia, and we understand that there are people who are as passionate about Linux as an open source platform as we are passionate about delivering an awesome GPU experience." They accepted that recently questions had been raised about the lack of support for the Optimus notebook GPU solutions, which itself was the main cause of Torvalds' outburst in the first place. 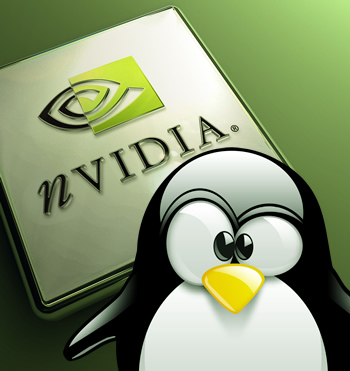 The GPU maker also defended its decision to use only proprietary drivers for Linux. "While we understand that some people would prefer us to provide detailed documentation on all of our GPU internals, or be more active in Linux kernel community development discussions, we have made a decision to support Linux on our GPUs by leveraging NVIDIA common code, rather than the Linux common infrastructure. While this may not please everyone, it does allow us to provide the most consistent GPU experience to our customers, regardless of platform or operating system." Nvidia believes that doing so benefits end-users more, and offers them same day support for new GPUs whilst providing a more consistent driver eco-system between different operating systems. The company also pointed out that it was a major participant in the development of the Linux-based ARM Kernel, saying they ranked second terms of the number of lines changed during its development of the next generation 3.4 ARM Kernel set for use on future Linux, Android and Chrome distributions, and fourth for the number of "changesets" for all organizations.